“There is nothing more irrelevant than an answer to a question nobody asks”, said the famous Protestant thinker and great friend of the Jews, Reinhold Niebuhr. This is a profound observation and very much the foundation on which the Jewish tradition stands. Still, in our days many religious Jews are of the opinion that one is only allowed to ask such questions which we love to hear, that are “kosher” and not critical of the Jewish Tradition. This is a tragic mistake. Because by denying these kind of questions we bar the possibility of discovering the profundity of Judaism and worse, we deny our young people the opportunity to see that Judaism is really intellectually honest and not afraid of criticism. By doing so, we expel many of the best minds among our nation. They correctly feel rejected and as a result leave the fold, thinking that Judaism has lost its relevance for modern times. My dear friend, Professor Yehudah Gellman, told me that the only son in the Hagada who really has something profound to ask is the rasha, the wicked son. He is asking a question which most of us do not want to hear: What is this service to you? Why are you religious? What is the deeper meaning behind your service to God? Why to continue to do something, when you no longer know why you do this? The wicked son correctly challenges all of us sitting at the Pesach table, because he wakes us up from our religious slumber. His very presence makes us nervous and so we call him wicked while in fact he is the only sincere one. He does not want to show off by asking a clever so called religious question, like the chacham, because he loathes that kind of performance which does not get to the core of what it means to be religious. We should indeed “sharpen his teeth”, to help him ask even more biting questions because only in that way will we be able to show him the unparalleled wisdom of Judaism. That is the task of the David Cardozo Academy. For Yael, the David Cardozo Academy Think Tank (or Think/Feel Tank, its full title) is a wonderful venue in which to explore Jewish ideas and values that pull in different, sometimes opposing, directions. Here she has found a forum to explore challenging topics in a personal and safe atmosphere, and to search for truth in the company of thinking people of diverse backgrounds. For the past two years, she has taken part in developing the Think Tank’s materials on the subject of the place of authenticity, personal autonomy, and individualism in halachic living, a subject that she feels is as yet underdeveloped in the Jewish world. Simultaneously attending a Haredi high school and participating in a youth movement that was modern Orthodox and Zionist proved confusing for Yael as a teenager. The tension between the two worldviews left a deep imprint. Another enriching but similarly confusing mix was her heritage, which is both highly Hassidic and highly misnagdic. From Rabbi Cardozo, Yael has learned the valuable art of holding opposing truths and not letting go of either one; not taking the simpler route but living in creative tension. Additionally, over the past decade Yael has been using a technique that combines both the analytical and the creative sides of her personality – Bibliodrama, developed by Dr. Peter Pitzele of the USA. It is not acting or theatre; it is a dynamic group role-speaking method for experiencing a biblical (or any) story to greater emotional and exegetical depth. Participants speak in first person as the characters, filling in the gaps in the text – what Dr. Pitzele terms the “white fire” existing around the text’s “black fire.” Bibliodrama can thus be termed “modern” or “spontaneous” Midrash: although the Midrash goes to places that Bibliodrama never will, both are concerned with filling in back story, based on a careful reading of the text itself – and new and meaningful connections to Torah are formed. To date, Yael has run over 200 Bibliodrama sessions around the world, including at Limmuds and interfaith Bibliodramas in such exotic locations as Iceland and Turkey, through the BASICS project. Yael has also written and published in a number of genres, including articles, book reviews, stories and more. Her first book, Nehama Leibowitz: Teacher and Bible Scholar (Urim Publications, 2009) was a finalist in the 2009 National Jewish Book Awards. Her second book, The Hidden of Things: Twelve Stories of Love & Longing (Yotzeret Publishing, 2013), a collection of tragic-comic fictional stories about young Jewish men and women seeking love and spiritual connection, has recently been released, and Yael is currently engaged in book launches and tours worldwide. Rabbi and Mrs. Lopes Cardozo traveled to Australia to visit the Sydney and Melbourne communities, as well as to participate in the Limmud Conferences in both cities. Mr. Russel Lazarus and Michael Misrachi took care of all the arrangements in Sydney in a most wonderful manner. After arrival, there was a supper with other presenters and the Limmud volunteer committee. Shabbat, Friday night, Rabbi Lopes Cardozo spoke between Mincha and Kabbalat Shabbat at the Mizrachi Shul. Friday night dinner was in the hall of the Shul together with all the foreign presenters and the volunteer committee of Limmud. Shabbat day was spent at the Nefesh Shul, where a drasha was given during Shacharit and during lunch, Rabbi Lopes Cardozo spoke on the topic: God is not righteous. June 9-10, The Sydney Limmud Conference was held on the campus of the University of New South Wales. Over the course of the two days, Rabbi Lopes Cardozo spoke to capacity audiences on the following topics: Judaism and Rebellion, Spinoza, Did God really speak at Sinai?, and Eternally Other. Between lectures, Rabbi Lopes Cardozo was constantly bombarded with questions. He also met with Dr. Daniel Gordis, Senior Vice President, Shalem College, a new initiative of the Shalem Center, and his wife Elisheva. Dr. Gordis is a renowned columnist and the author of a biography of Menachem Begin, recently published by Schocken Books. On June 12, Rabbi and Mrs. Lopes Cardozo flew to Melbourne, where Mandi Katz coordinated the logistics most professionally. Prior to Shabbat, they visited the Leibler Yavneh College, a Modern Orthodox School with over 900 students, and met there with the principal, Rabbi Roy Steinman. Shabbat Morning, Rabbi Lopes Cardozo attended the Shira Hadasha Shul where he gave a lecture on: “The Prohibition of carrying on Shabbat and the Buddha”. As is well known, at Shira Hadasha women are called up to the Torah. Modeled on the shul of the same name in Jerusalem, it was founded in Melbourne by Ilana Faivel. June 16, Limmud was held at the University of Melbourne, where Rabbi Lopes Cardozo had sessions on God is righteous and Judaism means Rebellion. Between sessions, he met with Professor of Yiddish, Dr. Marc Kaplan, from Harvard University. The following day, there was a lecture at the Hamayan Shul: “Reb Menachem Mendel of Rimanov and the Ot Aleph”. This event was organized by Mr. Farrel Savit. Rabbi and Mrs. Nathan Lopes Cardozo travelled to South Africa to present at the three Limmud conferences in Cape Town, Durban, and Johannesburg. Viv Anstey and Adina Roth were instrumental in handling the logistics for the visit. Because of the great controversy about Limmud in both the United Kingdom and South Africa regarding the participation of Reform and Conservative rabbis, Rabbi Lopes Cardozo was one of only a few orthodox rabbis at these conferences. He publically called on the Chief Rabbi of South Africa to participate in Limmud and for which, he received a standing ovation. Limmud started in Cape Town and spanned the weekend of August 2, – 4. It was held in Stellenbosch, about an hour’s drive outside of Cape Town, beautifully located in the middle of wine country. About 800 people participated, with most in attendance for the entire weekend. Rabbi Lopes Cardozo made Kiddush Friday night for all of the participants. He spoke twice at the conference on Judaism and Rebellion and Did God really speak at Sinai? From Cape Town, Limmud traveled to Durban, where Rabbi Lopes Cardozo spoke on God is not righteous and Spinoza. He also presented a unique autobiographical sketch, accompanied by the music of Bach, JDOV, Johann Sebastian Bach: Judaism and the Art to be a Rebel. This unique presentation was organized by Rabbi Shoshana Boyd Gelfand, a great friend of Rabbi Lopes Cardozo. The Lopes Cardozos also met Seth J. Frantzman, the famous Op-Ed Editor of The Jerusalem Post and his wife, Kasey Damoza Frantzman who were also lecturing at Limmud. 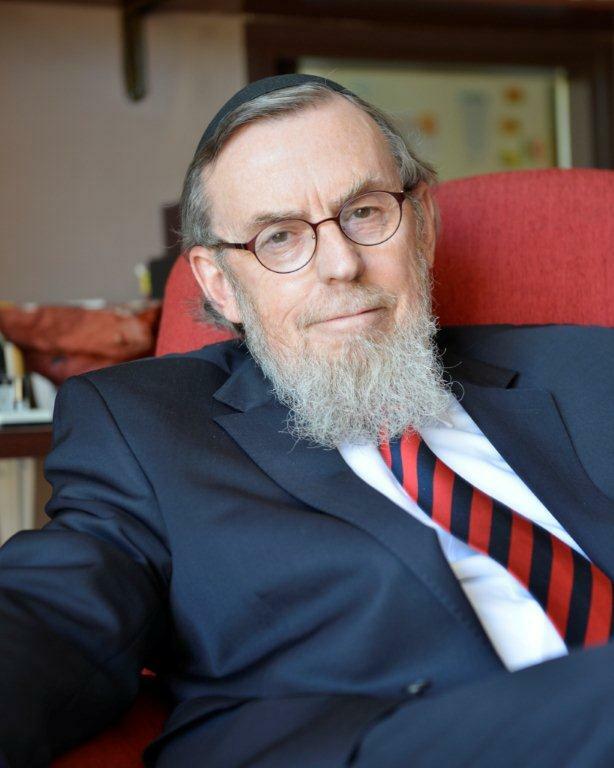 Over the course of the two days of Limmud in Johannesburg, Rabbi Lopes Cardozo spoke three times on, Did God really speak at Sinai?, Eternally Other and the autobiographical sketch, accompanied by the music of Bach. Rabbi and Mrs. Lopes Cardozo spent Succot in Birmingham with their son-in-law and daughter, Rabbi Chanan and Nechama Atlas. Rabbi Lopes Cardozo gave shiurim at the Central Synagogue, which were organized by its President, Geoffrey Clements. The Lopes Cardozos also visited their grandchildren at the orthodox Jewish King David School, where only 30% of the children are Jewish while the majority of the student body is Muslim. The school has grown over time to become an institution that is a model of inter-faith cooperation, with Christian and Sikh children also in attendance. After the United Kingdom, Rabbi and Mrs. Lopes Cardozo traveled to The Netherlands. Shabbat Parshat Noach was spent with the AMOS Modern Orthodox Community. This synagogue, under the leadership of Rabbi Menachem Sebbag and its president, Doron Sanders, has become a magnet for young people in Amsterdam. Rabbi Lopes Cardozo spoke before Mussaf on Spinoza and Noach’s ark. Motzaei Shabbat, he gave the lecture, The Art of Proper Halachic Decision Making, to a crowd of over 150 people. Friday night dinner was hosted by Joop and Renee Krant, with Rabbi and Mrs. Sebbag among the guests. Shabbat lunch was hosted by Dr. Henri and Chedwa Markens, with Joop and Renee Krant, and Joop and Evelyn Sanders, all as guests. In The Hague, Rabbi Lopes Cardozo gave a lecture in memory of Aaron and Betsy Spijer on, Revelation and Silence: Rabbi Menachem Mendel of Rimanov. The event was organized by the David Cardozo Academy, the The Hague Orthodox Jewish Community and its leader, Rabbi Shimon Katzman, along with the Aaron and Betsy Spijer Foundation. Foundation Board members in attendance were Dr. Leo Delfgaauw and Dr. Hans Wijnveldt. There were about 50 people who attended. Rabbi and Mrs. Lopes Cardozo plan to travel to Detroit, MI to spend Pesach 2014 with their children, Rabbi Michael and Devora Sara Cohen at the Young Israel of Oak Park, MI. While visiting, Rabbi Lopes Cardozo will speak throughout the Oak Park community. This will be followed by a trip to The Netherlands in May, with a return visit to the AMOS Modern Orthodox Community in Amsterdam, followed by a visit to Manchester, UK, for the installation of Rabbi Chanan Atlas and his rabanit, Nechama, at the Yeshurun Congregation. Many highly unusual lectures continue to be given by Rabbi Nathan Lopes Cardozo and other renowned rabbis and professors. This year’s theme is Challenges to Faith and Belief. May 1, 2013 Dr. Samuel Lebens, post-doctoral research fellow at the Centre for Philosophy of Religion, at the University of Notre Dame – Religious Belief or Make Belief: Which one makes you Frum? 1. Belief is not a sufficiently absorbing relationship to hold to the truths of Judaism. It’s not enough, for example, to believe in God’s existence. You also have to experience the world through the prism of that belief… you have to experience the world and your place in it as if you are a creature of God and that God is constantly with you. 2. Belief is an impoverished notion. Many of the truths of Judaism cannot be captured by the formula: ‘I believe that p’. Rather, you know God. You know holiness. Not that God is x, or that holiness is y. A faith is autistic if it can be reduced to a set of propositions to be believed. 3. Sometimes Judaism asks us to make-believe what we have no need to believe: that you yourself were a slave in Egypt, that the world is equally balanced between virtue and vice and depends for its very existence on your next move. It’s not believing these things to be true that has an effect on you, but living your life as if they were true. Rabbi Angel discussed the views of Rabbi Uziel and Rabbi Kook on the issues of conversion, autopsies and the role of women in public life. These great sages, looking at the same rabbinic sources, came to dramatically different conclusions. Each one’s hashkafa impacted on his halakhic rulings. Prof. Kolbrener addressed the questions: How can one speak about teshuva without being either self-renouncing? or self-righteous? How does my own ethical seriousness keep me in the dark about myself? His thesis was that teshuva from ahava – from love – is on a higher level than that m’yirah – from fear – because it involves the genuine confrontation with the self, the possibility of genuine transformation. If we are too ‘frum’ – too religiously serious about ourselves and our images of ourselves – we can’t use our personal resources to move into the future based upon a creative relationship to the past. Teshuva is that ultimate creative act, and the activity of creation is focused on the self. 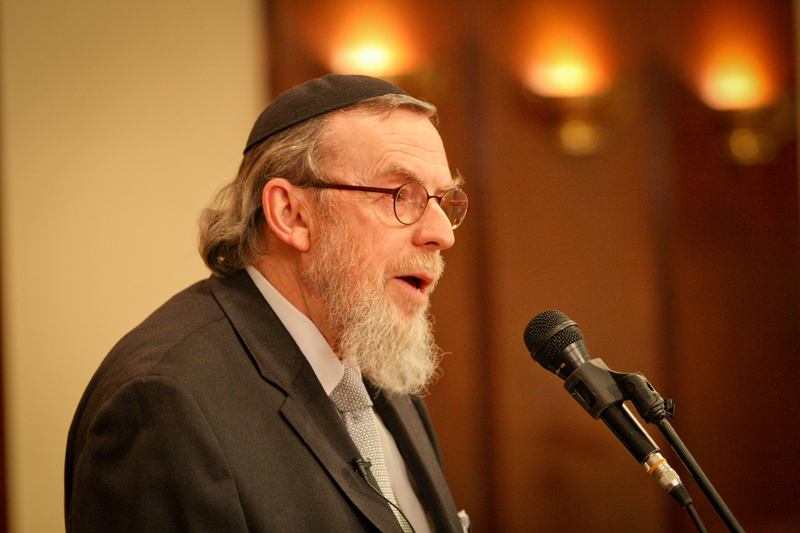 Rabbi Lopes Cardozo gave a lecture at the Dan Panorama Hotel in Jerusalem with more than 300 people attending. The topic was the abuse of Halacha within the religious community, with opening remarks on the controversial Limmud conference. Rabbi Lopes Cardozo explained that when Halacha is the sole foundation of Jewish religious life, it will be misrepresented and could actually do harm. Halacha itself relies on some universal values such as the holiness of human life, the dignity of all human beings and man being created in God’s image. These values are implanted in the human heart and must always be the point of departure for any halachic ruling. This is the reason why the Torah was not given at the very beginning of human history but had to wait till the days of Moshe Rabeinu so that there was an incubation period where these values were able to settle in. This is reflected in the book of Bereishit where we see how man struggles with these values before they became more and more accepted and start to become the very foundation for human existence. Only after this, was the world ready to receive the Torah which brings man to even higher levels of morality. Rabbi Lopes Cardozo warned that if orthodoxy becomes overly defensive it will ultimately lose its influence on the larger part of the Jewish people. When orthodox rabbis do not allow orthodox teachers to come to the Limmud conference because other denominations also teach at this conference, they make a crucial mistake because it creates the unmistakable impression that they are afraid of the other denominations. This form of defensiveness has done a lot of harm in the past and must end before more damage is done. Rabbi Lopes Cardozo called for more courage on the side of orthodoxy because it has all the components to do so. We are accustomed to thinking that the revelation of the Torah, at least the written Torah originates from a transcendent Law Giver. This places the Torah in an ahistorical context, conveying a timeless system of law and values. Rabbi Hefter argued that In order to authentically confront our modern existence, we need to move away from this model of revelation. The Hassidic masters, rooted in Chazal, taught that God and revelation reside primarily in the human heart. This means that the Torah is equally human and divine and can only be seen in a historical context. August 21, 2013, For the second year, The David Cardozo Academy sponsored a Choral Arvit with a special selection of Selichot in the Spanish-Portuguese tradition at Hovevei Tzion Synagogue. Over 200 people attended. Rabbi Lopes Cardozo introduced the evening with a D’var Torah on, The Joy of Saying: I am sorry. Chazzan Daniel Halfon led the Kolot HaEsnoga Singers in a beautiful rendering of optimistic, joyful Selichot. December 14, 2013, Rabbi Lopes Cardozo gave a shiur in Hebrew at Beth Knesseth Beth Yehudah, in Bayit V’Gan, Jerusalem. Rabbi Yonah Fodor is the community’s rav. The talk was on, The challenges of Halacha and morality in the State of Israel. December 24, 2013, Rabbi Lopes Cardozo spoke in Maale Adumim at the shul of Rabbi Avishai David. Elan Adler was the organizer for a shiur on Revelation and the truth of the Torah. December 27-28, 2013, Rabbi Nathan Lopes Cardozo was scholar-in-residence for a Shabaton at the New Synagogue of Netanya (McDonald Shul), under the leadership of Rabbi Raphael Katz. Rabbi Lopes Cardozo spoke on Rescuing Halacha and Judaism, Spinoza and Torah min HaShamayim. The Shabbaton was organized by David Marriott, with Friday night dinner at the shul and Shabbat lunch hosted by Ernie and Linda Hirsch. January 24-25, 2014, Rabbi and Mrs. Nathan Lopes Cardozo were guests of Ariella and Charles Zeloof at the Bar Mitzva of their son, Joseph Salim Mordechai Zeloof in Herzlyia, Israel. Rabbi Lopes Cardozo spoke over Shabbat. Also in attendance from the United Kingdom was Chief Rabbi Ephraim Mirvis. February 9, 2014, Rabbi Nathan Lopes Cardozo spoke at Beit Midrah Torah Le-Umi in Beit Shemesh, Israel on Rescuing Halacha. The organizer of the event was Dov Krulwich. Motzaei Shabbat, February 15, 2014, The David Cardozo Academy in collaboration with Beit HaRav Kook, sponsored a special evening of learning and music based on the writings and poetry of Chief Rabbi and mystic, Avraham Yitzchak HaCohen Kook z.l, The program was a benefit in support of Beit HaRav’s educational programming. After an introduction by Rabbi Nathan Lopes Cardozo, Professor Yehuda Gellman spoke on: ‘The music of Rav Kook’s life’. Professor Gellman presented three levels of artistic creation, including music, according to Rav Kook. The first two proceed according to rules. The first, and lowest, is “Beauty,” a harmony made up of elements that do not lose their identity in the whole. The second is the “Holy” or Sublime, in which the parts do lose their identity in the creation of a reality beyond. The highest is what Professor Gellman referred to as “Expanses,” which goes beyond all rules and all conventions to a spontaneous expression of the person. Rav Kook strove for a synthesis between the first two and the last, in which spontaneity and lack of rules would be framed by a form with rules. The evening concluded with music by Greg Wall’s Later Prophets with Rabbi Itzchak Marmorstein presenting “Ha’Orot-The Lights of Rav Kook”. February 25, 2014, Rabbi Natan Lopes Cardozo gave a lecture in Dutch at Gesher in Jerusalem for Irgoen Olei Holland. 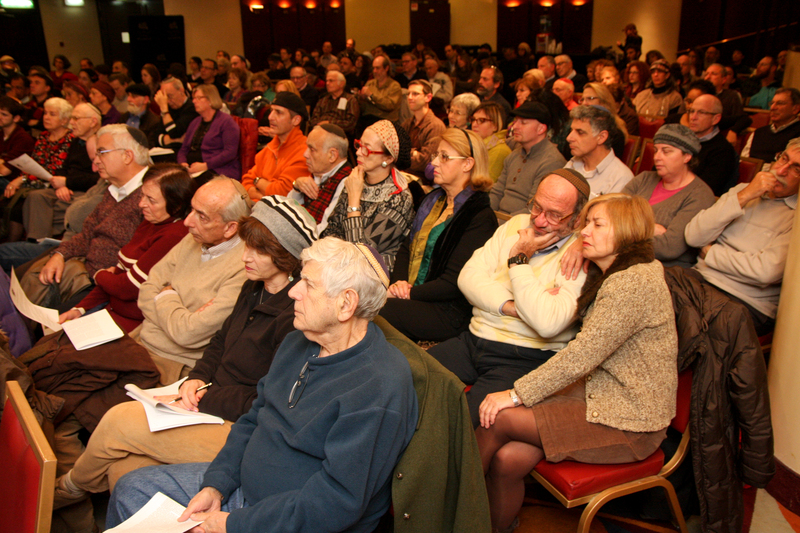 March 4, 2014, Rabbi Lopes Cardozo and members of the David Cardozo Think Tank attended a performance of the play, Division Avenue by Miki Bone, at the AACI Building. Afterwards, the Think Tank shared coffee and dessert with the producer, Raphael Poch, and director, Eryn London. Rabbi Nathan Lopes Cardozo continues in his counseling work, as an active participant in Beit Hillel – On Line Beth HaMidrash, and as the Rabbinic advisor to the Spanish-Portuguese Synagogue in Amsterdam. In addition, Rabbi Lopes Cardozo answers, on average, over 150 personal emails each day. The Think Tank “came out of the closet” this year, in terms of greater exposure to the general public. 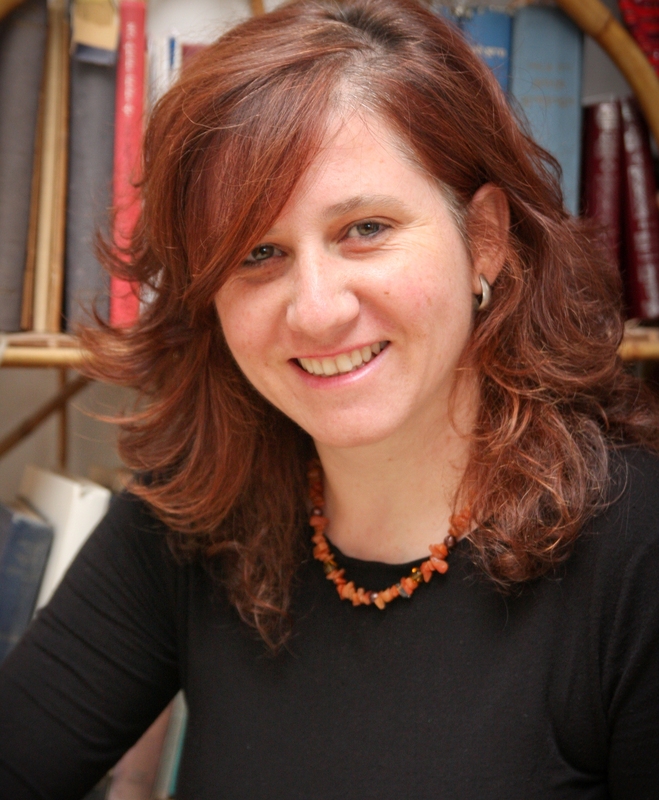 Two sessions were run at Limmud UK by Think Tank coordinators Yael Unterman and Yael Valier, on the subjects of halacha, competing values and individualism. Of the thousands of sessions presented at Limmud, no one was doing quite this kind of work, and it was much appreciated by participants. Our new Think Tank T-shirt bore the logo: Denomination? Underconstructionist! 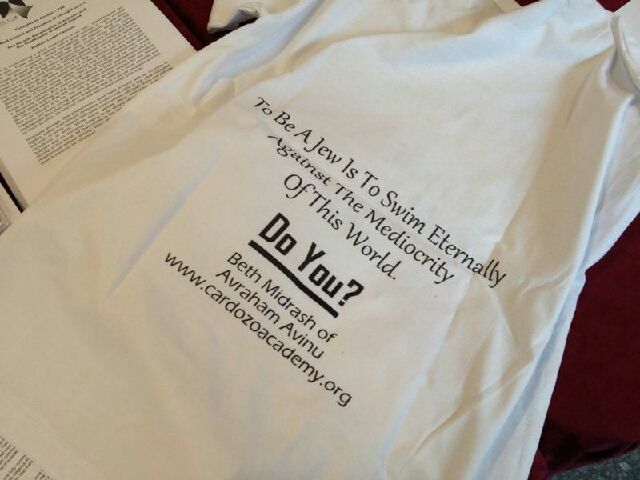 A separate edition of the Cardozian Newsletter on the Think Tank will be sent after Pesach. 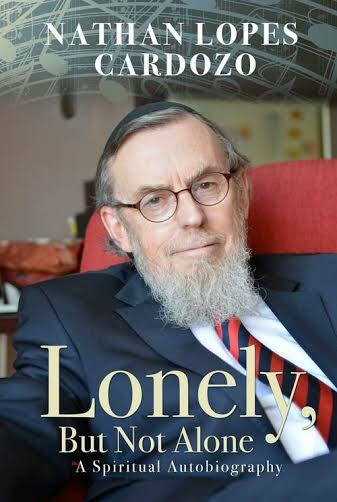 In 2012, Rabbi Nathan Lopes Cardozo was asked by Rabbi Dr. Marc D. Angel, editor of the well-known Conversations Journal of the Institute for Jewish Ideas and Ideals, to write a short spiritual autobiography. This was published in May 2013. (Click here to view the online version in English. Please email [email protected] if you would like to receive either the English or Hebrew version as an attachment). Because of the overwhelming response to this document, which precipitated many discussions around the Jewish world, Rabbi Lopes Cardozo was asked to write a full spiritual autobiography including many of his unusual thoughts on Judaism. This major book of more than 300 pages will be published in the fall of this year. It will also include his mother’s story of the experience of the Lopes Cardozo family in Amsterdam in the years of the Holocaust. The publisher is Urim Publications, Jerusalem, New York. The entire next edition of the journal, Conversations, Spring 2014, published by the Institute of Jewish Ideas and Ideals, NY, Editor, Rabbi Dr. Marc D. Angel will be devoted to a long essay by Rabbi Nathan Lopes Cardozo. The title is, God Is Relocating, A Critique on Contemporary Orthodoxy, Four Observations. After the essay, the remainder of the journal will present responses from scholars and laypeople. Later this year, a new book entitled “Cardozo on the Parasha” is scheduled to be published by Urim Publications, Jerusalem, New York. The Cardozo Academy website is currently undergoing a complete redesign. Among the changes will be a re-organization of articles, lectures, and audio-visual material. The plan is for the Think Tank to have a significant presence on the new site, including blog posts with interactive capabilities so that talkbacks from readers can create fruitful discussions. One such section, Questions to Ponder, will incorporate reader’s questions and topics for discussion. Newsletter Design Thanks to Rabbi Yehoshua Looks, Esther Peterman, Freyda Lopes Cardozo, Yael Unterman and Yael Valier. Your contribution enables us to empower future rabbis, teachers and community leaders in the spirit of Rabbi Lopes Cardozo’s philosophy and that of the David Cardozo Academy. Please consider marking a special anniversary or remembering a loved one by making a donation. We would welcome your gift on line through our secure website: www.cardozoacademy.org/contribute/ or, if preferred, by direct bank transfer (contact Jerusalem office for details: [email protected]) or via one of our worldwide “Friends”.